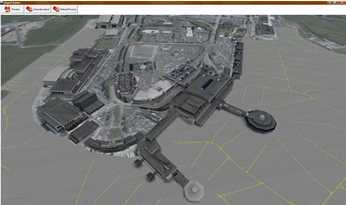 We had a unique suite that is revolutionising the speed and cost of creating 3D visual and operational models of airports for design, planning, evaluation and testing. 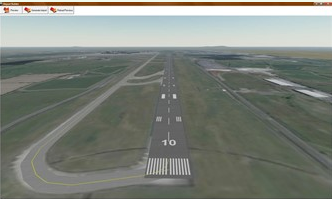 Ground Elements – runways, taxiways, aprons, helipads, hold points, stop bars, stands and other ground markings. 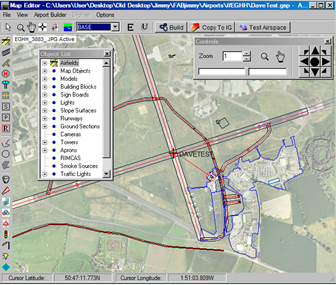 Raised Objects – tower, signs, simple buildings, cylinders, polygons, raised lines, windsocks, traffic lights, obstacles and associated lights, and imported models of buildings, floodlights, antennae, trees and grass. Other Elements – sources of smoke and sites for explosions.